Got a new device and you can’t figure out how to get it to do what you want? Just need help downloading eBooks or eAudiobooks? Well, you’re in luck! 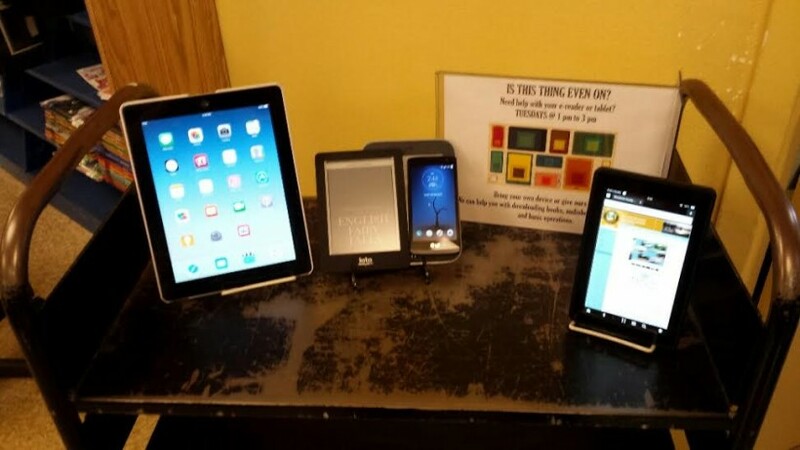 Chris Little, long time Friend and volunteer of the library, is offering free, guided tech help every Tues from 1-3 pm at the library for those who are tech challenged. Space is limited so reservations are suggested. Sign up at the desk or give us a call @ 964-2020 and we’ll get you started!